A quick and dirty review of two whiskies that don’t really need the airtime, but I’m keen to cover the most popular ones on Malt. First produced by Matthew Gloag & Son in 1896, the Famous Grouse is now one of the best-selling Scotch whiskies in the UK and the wider world. 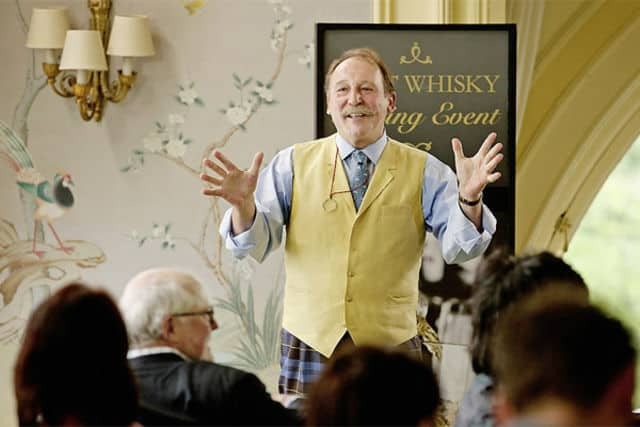 It heavily promoted itself in the 1970s to become one of the leading Scotch products out there, and even today its branding is everywhere – from the Commonwealth Games to the Scottish Rugby Union team. 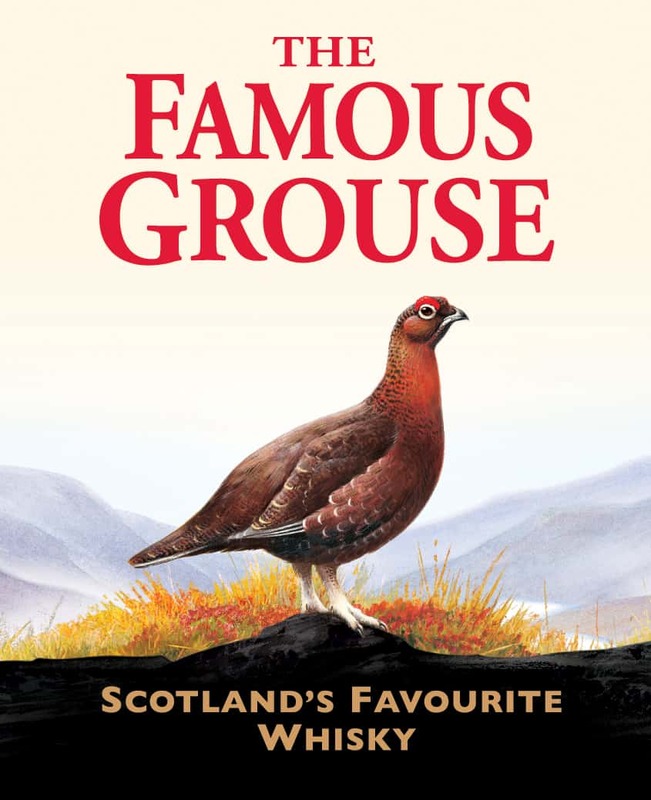 Even Charles MacLean is writing a book on the history of Famous Grouse. 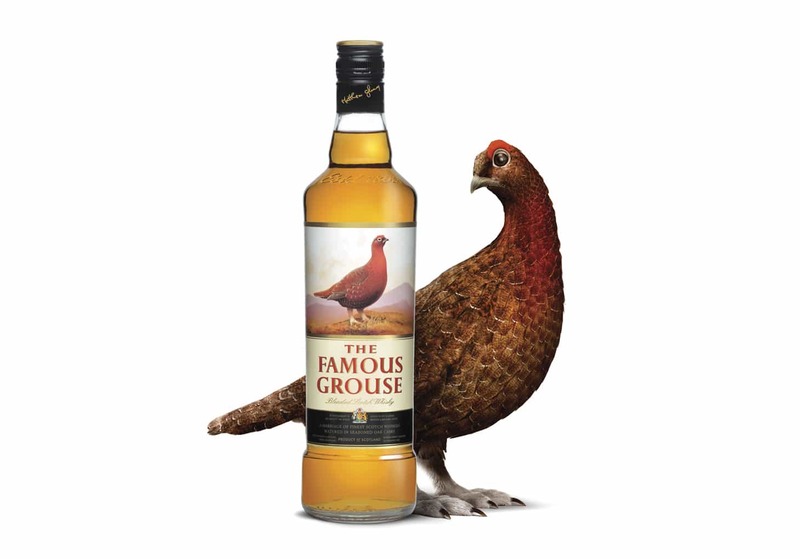 The Famous Grouse is the standard blend, cost around £15 and is bottled at 40% ABV. 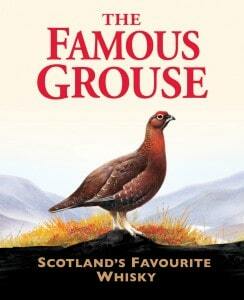 The Black Grouse is a more recent spin off, and is based on Islay peated whiskies, giving it a smokey taste. It’s also bottled at 40% ABV and comes in at around £20 a bottle. On the nose: there is nothing here to talk about really. In the mouth: makes Haig Club seem like a taste explosion. On the nose: a little bit more than the Famous Grouse. It’s a lot fresher. The gentle touch of smoke. In the mouth: something more going on at least, and the texture is noticeable fuller. I don’t know whether it’s because I’m keen on tasting something, anything, that I’m finding things at last: a very delicate balance between peat smoke and toffee, and a little butterscotch. A little oaky with a medium finish. These are not great whiskies, even at this low price point, which is to say: they’re not for me. I recommend avoiding them. If you’re going to slum it, then go with Bell’s, which is far tastier. If you want something with a little smoke, just reach into your pocket for an extra tenner and go for Johnnie Walker Black Label.